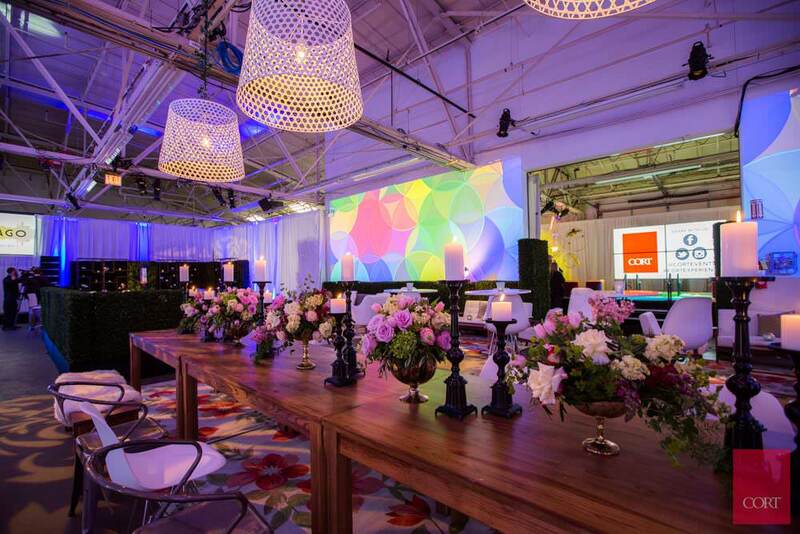 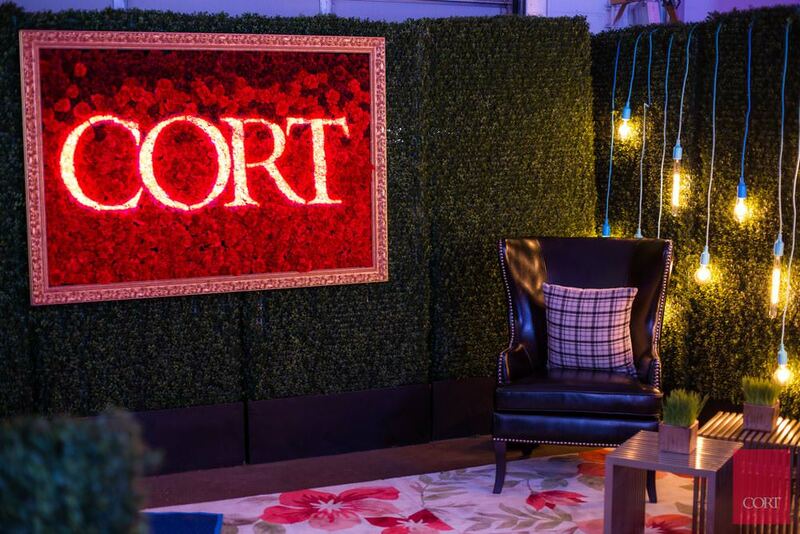 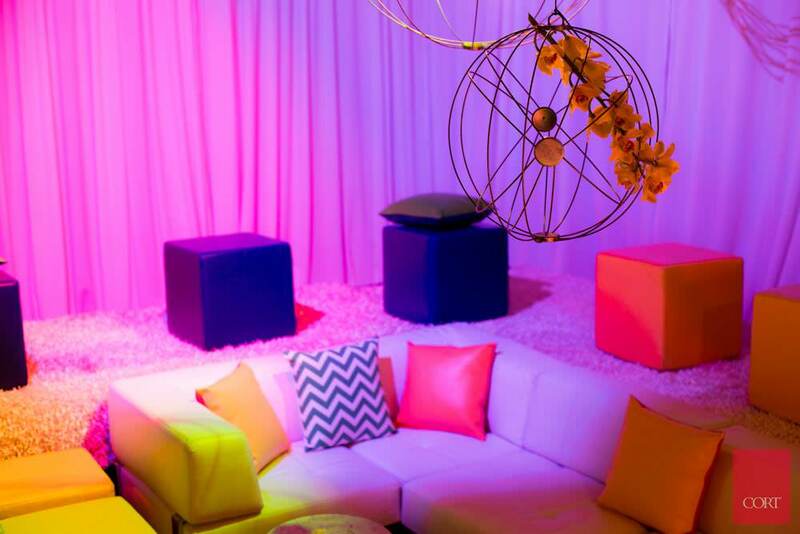 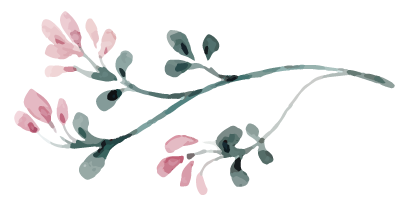 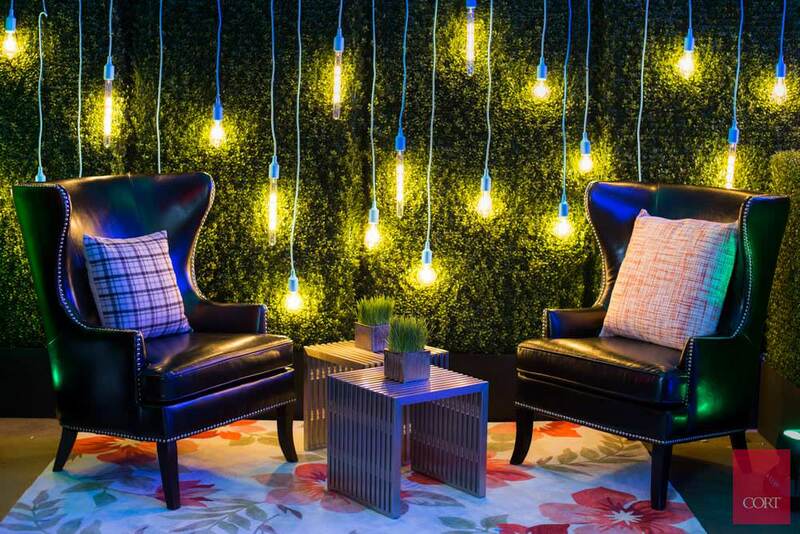 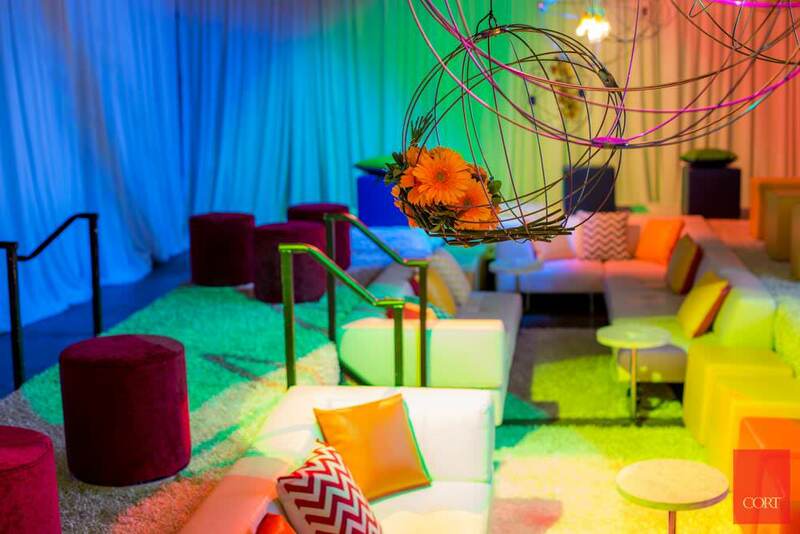 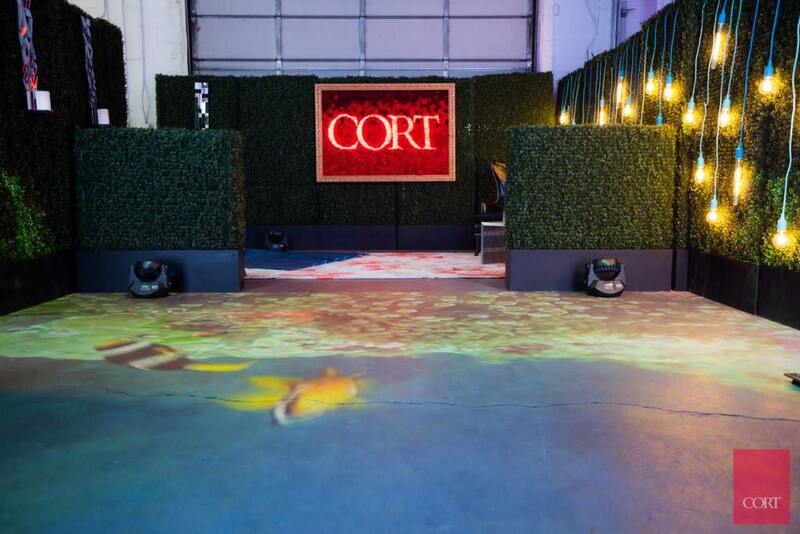 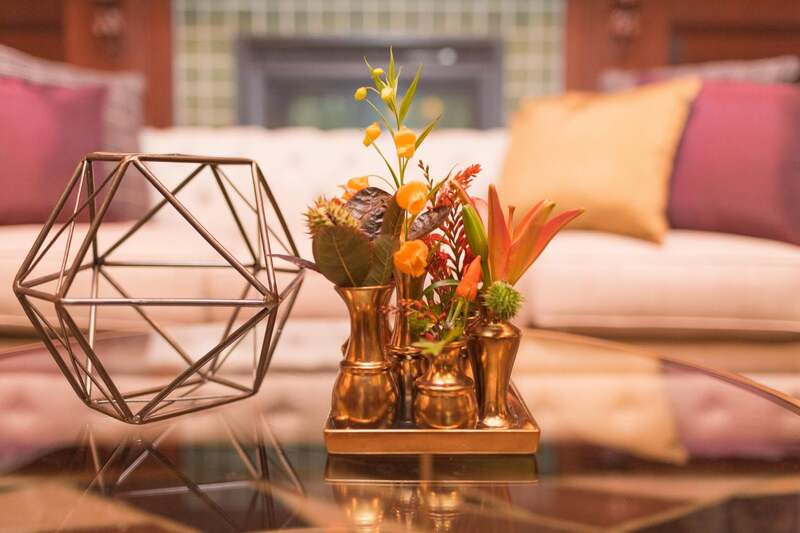 Creativity flared at the CORT Furnishing Event experience. 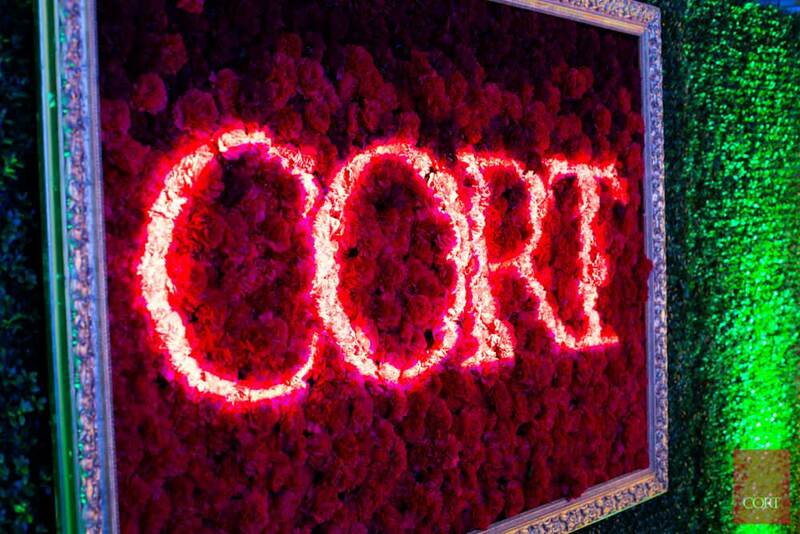 A stunning wall plaque filled with red carnations greeted the guests. 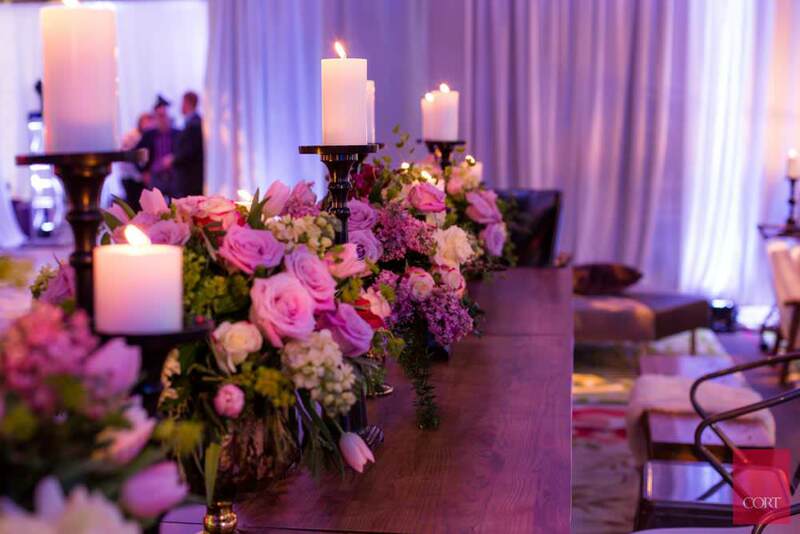 Lush centerpieces with roses and hyancith adorned the tables. 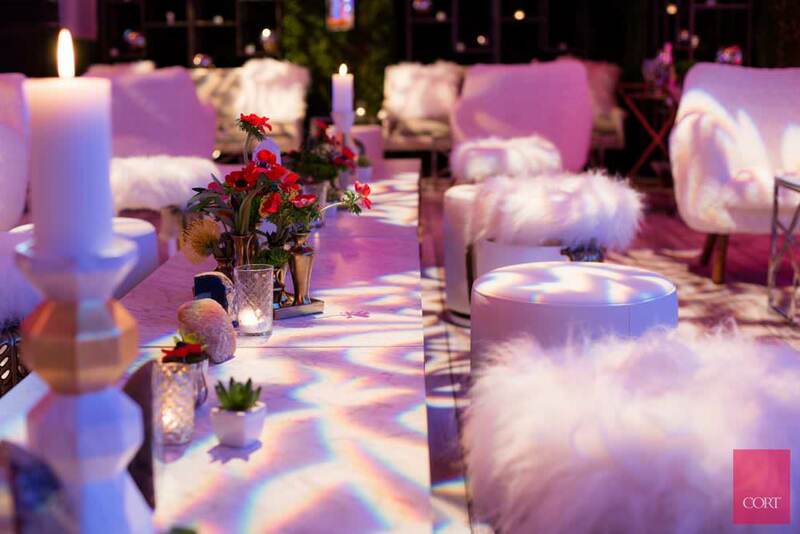 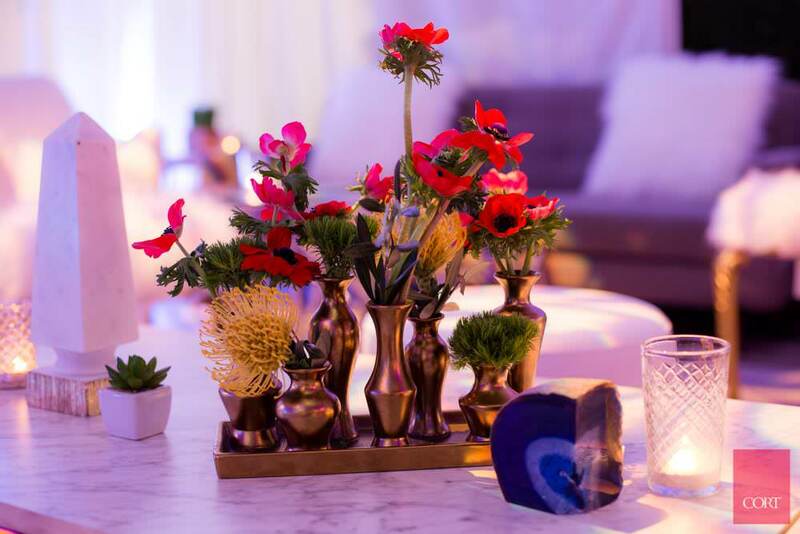 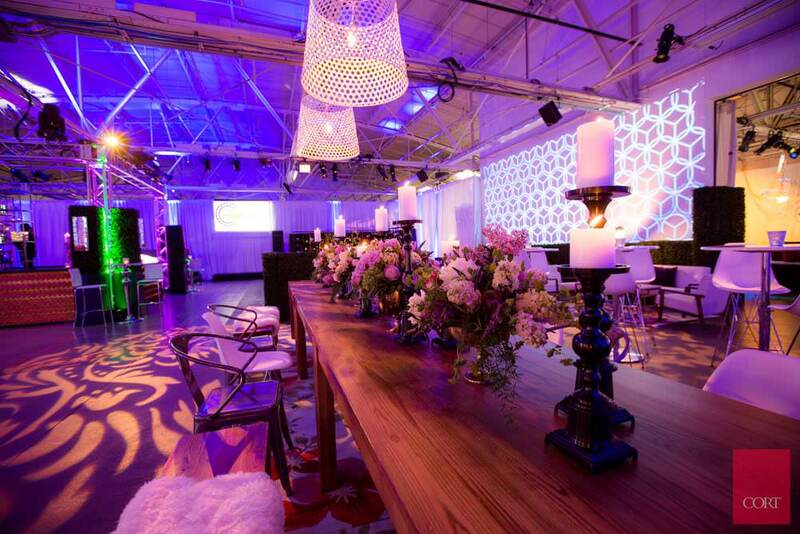 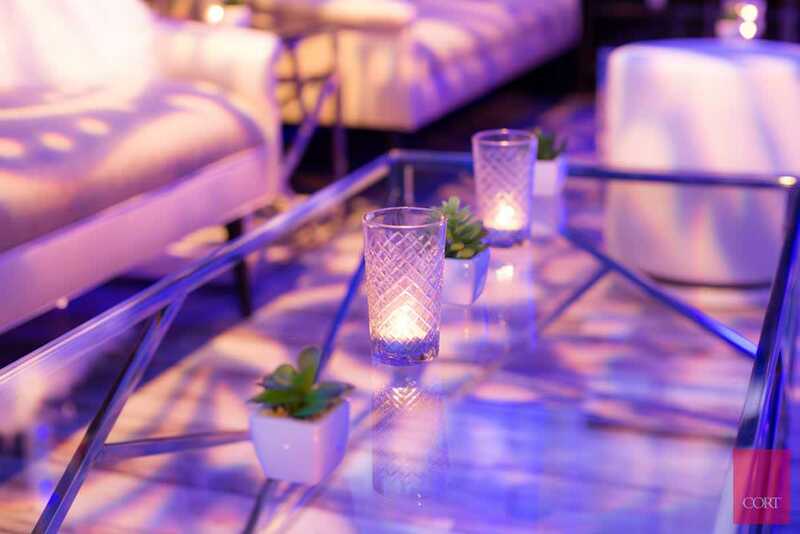 Hanging circular vases provided an extra creative element, while smaller succulents and modern centerpieces also filled the tables.